Stalled opportunities plague salespeople. They clog pipelines, ruin forecasts, and cause untold frustration. 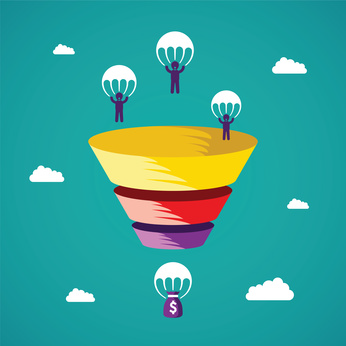 From CEO to sales reps, everyone scrambles for ways to close deals at the bottom of the sales funnel and shorten the sales cycle. After all, you have spent months with this prospect and forecasted this revenue to close this quarter. I sit on the board of a certain company where the CEO asked me to work with the sales team to understand why deals were not closing within the projected time frame. I looked at four other deals in this rep’s care. All were projected to close in the next 90 days. All bore the same problems. In his mind, he had qualified prospects ready to buy, but he didn’t have full commitment from them. Most of his prospects had been stalled for months. The rep called and called, just to check in. Generally, the root cause is almost always the same: salespeople fail to consistently ask and get a commitment from the prospect on the next step. When sales organizations experience longer sales cycles and more opportunities fall to no-decision, I become fixated on finding the breakpoint. From my experience, the break down happens early in the sales process in what I call the moment of “fix or not fix.” At this stage in the buying cycle, you assist the prospect to become aware of a business issue that needs to be fixed. The prospect moves into cognition thinking where he wants to understand his situation and analyze his current position. During this stage, he shapes a vision for what the solution should look like, and then the core moment arrives. Is he committed to fix or not fix his situation? Too many salespeople cross this mental chasm without getting the commitment needed from the buyer. Instead, they dive right into the possible solutions for fixing the problem. In my opinion and experience, this premature leap causes most of the no-decisions we see today. 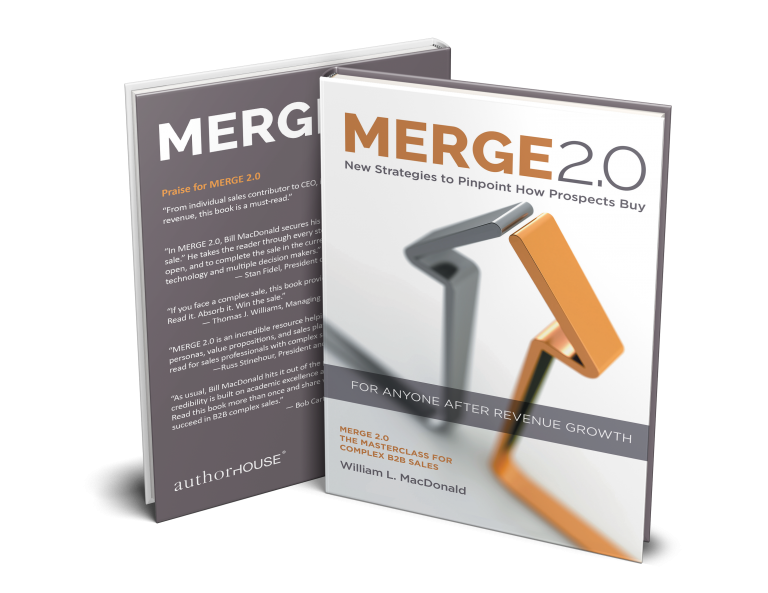 The salesperson assumes the prospect sees the need and wants to fix it now. And why not? If the rep shows the prospect how to save 30 percent on utility expenses, why wouldn’t she want to lower that cost and look at alternatives? The truth is, there was never a deal to begin with, but the salesperson continues to pursue this prospect as if she is in the buying mode, blinded by ambition. Another important reason sales opportunities die—the sales rep’s failure to ask and get a next step from the prospect. Getting more micro-commitments along the way not only tests engagement but keeps your deal moving steadily forward. You should never end any prospect interaction without securing a specific kind of promise of action to move the sales process forward. By committing to some action, and only by committing to such action, your prospect demonstrates her interest in moving the buying process forward. That commitment signals to you that you are not alone and working in collaboration with your prospect. This step is logical, once you spell it out. But it is amazing how rarely getting-an-action-commitment is put into practice. I urge you to take all your current prospects and write down an action commitment to end your next sales conversation. What do you think the prospect would say? What commitment have they made to continue the sales process? The commitment cannot be vague. It must be specific. A prospect that says “I promise to review your proposal” is not committing much. You need to define who will do what by when. The prospect’s commitment must be measurable, help move the process forward, and be realistic to precisely where he exists in the sales process. Based on our meeting today, you mentioned two others who participate in the decision-making process. Can we set up a time next Tuesday afternoon so I can spend some time with then? Can you arrange that? Based on where we are, can we set up a time next Wednesday for you and your team to visit our plant to learn firsthand how the process works? How does 1:00 p.m. Wednesday work for you? Nothing mysterious about getting an action commitment. You are doing your due diligence. However, don’t shortchange this technique. It will save your peace of mind moving forward. Develop your ability to see, hear, sense signals from the prospect. Refine your sense of timing. Also, cultivate some creativity so you have ready a selection of various action steps to apply on demand in any given situation. And make it sincere and authentic. Manipulation is transparent and a put-off. To help you truly master the art of un-stalling deals, I invite you to learn as much as possible about landing prospect commitments. 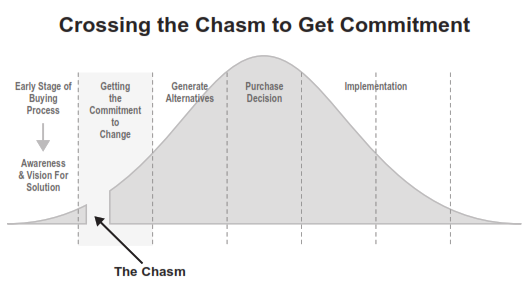 Take a few minutes to review this targeted video at https://pleinaire.digitalchalk.com/dc/learn/commit-to-crossing-the-chasm-and-recommend-a-process. Your time will be well spent. Even better, it will lead directly to solving your prospect’s issue, our ultimate purpose as salespeople.